Balboa was born in Jerez de los Caballeros, Spain in 1474. Balboa found passage to the New World on an expedition that would be led by a knight named Alonso de Ojeda. Ojeda had made a name for himself as a successful slave trader. Also traveling on this ship was Francisco Pizarro. Soon after landing, the Spaniards established a colony in Panama called Maria la Antigua del Darien. Balboa believed that if he were to be successful he needed to make himself indispensable. Soon he began deporting those that disagreed with him. Then, so that he could maintain firm control of the masses he began using shrewd and vicious, long fanged, highly disciplined dogs that were deadly when released against the enemy. At times food was very scarce, so when Balboa heard that there was a village named Careta that had both gold and food he couldn't resist. He and his men attacked and captured the village chief (cacique) and his beautiful daughters and took them back to his city of Santa Maria. Balboa quickly formed an alliance with them against their enemy the Ponca. The Ponca were ruled by a cacique named Comogre. Balboa and his men attacked and were quickly told about the sea that laid on the far side of the mountains. There they were told that they could find gold by the basket full. At once, Balboa sent word of his discovery to Spain. He asked for a thousand men, small ships, 200 crossbows, handguns, and supplies. However, none of his demands were met. In fact, he was almost ignored, and he soon learned that he was being replaced. Balboa realized that he had to act immediately, so on September 6, 1513, he departed in search for what they thought was the South Sea. His bloodhounds led the way and before long they were attacked by a cacique named Quarequa who put up a fierce struggle. It was only a distance of forty-five miles but the jungle was amazingly dense. They crossed one crocodile infested swamp after another until Balboa stood on a mountain top and stared out at the Pacific Ocean. There on the shoreline they met a cacique named Tumaco. When Balboa asked him how long the mainland extended to the south he replied, “It is without end.” Then the cacique told him about a fabulously wealthy nation that sailed the ocean and had beasts of burden. This was the second time that the Spaniards had heard tells of the riches of the Inca Empire. At once, Balboa began building ships in his quest for gold, but the wood quickly rotted and the work had to be done again. Before long rumors began to circulate that he was going to leave immediately. 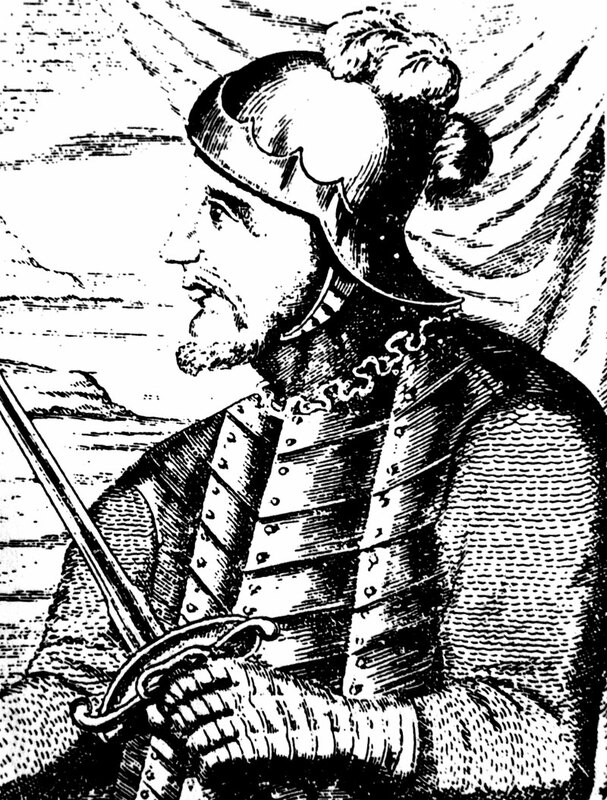 At this time Pedrarias and Francisco Pizarro accused Balboa of treason. Pizarro made the arrest, and Balboa was tried in front of a judge named Gaspar de Espinosa. He was found guilty and executed in January of 1510.